Hey there! Thanks for dropping by Pirate Rose Pottery! Take a look around and grab the RSS feed to stay updated. See you around! 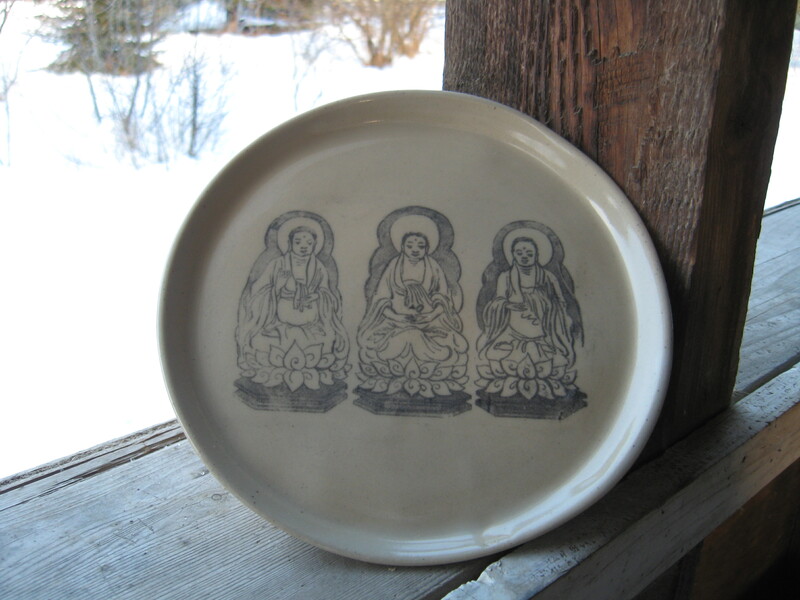 This medium-sized precious plate displays three Buddhas sitting on lotus flowers and enjoying themselves immensely.